This quilt has been completed and on my daughters bed for a month or so now. She was very happy to have a quilt made by her Mama. 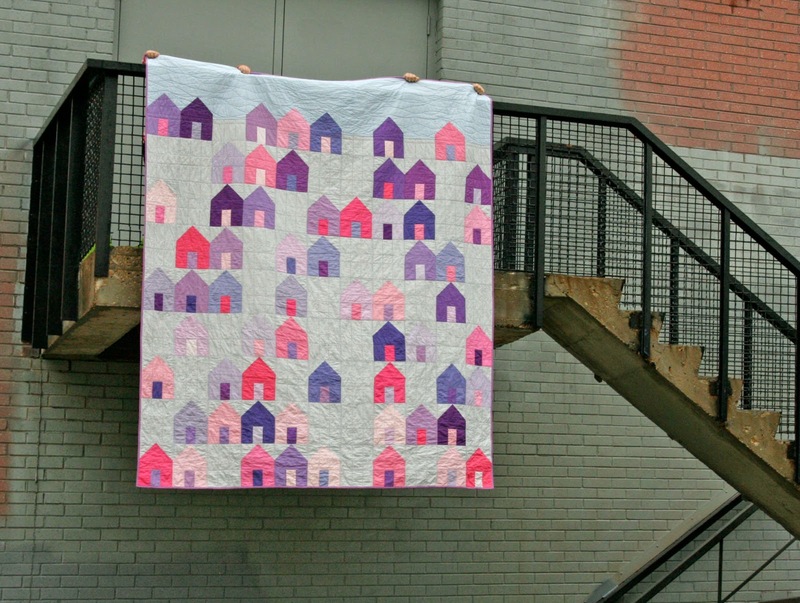 The pattern is Suburbs by Cluck Cluck Sew. It was a super fast and easy quilt to put together! 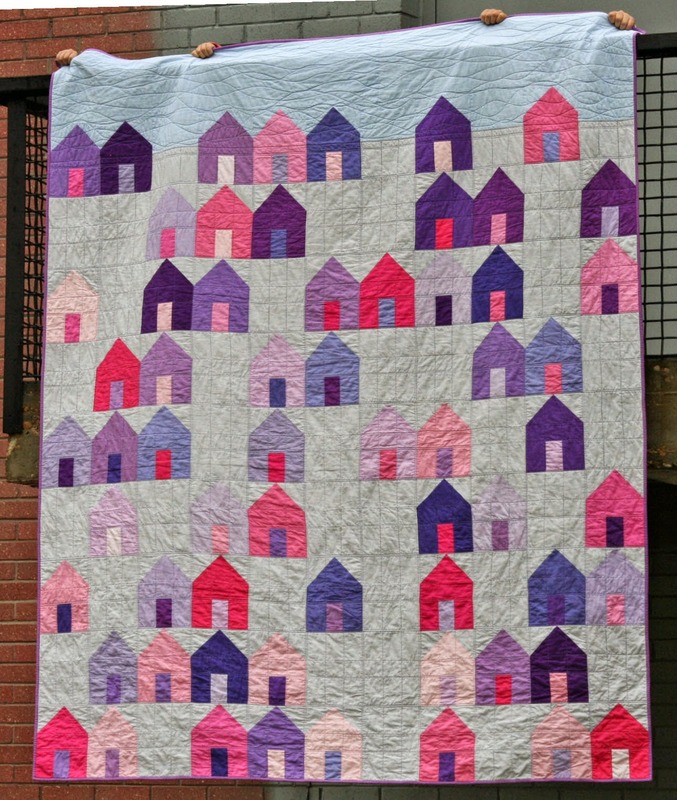 I, of course, chose my favourite fabric, solids (Kona Cotton) and made the houses pink and purple at my little girls request! Since the quilt was finished I have been looking around for a place that I could take a picture. It needed to be a place that my two girls could help me with. I finally found it! The quilt is almost full size. It actually fits on a full mattress with no drape, the biggest quilt I have done yet! I quilted it on my home machine, lots of straight lines. I love that my kids all have quilts on their beds now. I finally feel like I am putting my stamp in my house and making it a wonderful home for my family.